In the big-data ecosystem, it is often necessary to move the data from Hadoop file system to external storage containers like S3 or to the data warehouse for further analytics. In this article, I will quickly show you what are the necessary steps that need to be taken while moving the data from HDFS to S3 with some tips and gotchas. In a later article, I will write about moving the same data from S3 to Redshift which is mostly straightforward as long as we have the data prepped up correctly for the date warehouse injection. Data preparation at the source is required so as to make sure there that there are no issues loading the data eventually into Redshift tables. This step is not crucial if you have plans to station this data only in the S3 storage with no goals of copying it to a data warehouse. The reason being is that the Redshift (or any RDBMS tables in that respect) can be very picky about the format of the data, so this script should get the data into a state that Redshift (or any RDBMS) is happy with. Also once the data is in storage container it is almost always an uphill battle to make any changes (esp the one that relates to the schema) at that time than when the data is still on HDFS. This is also the time when you architect and design your data warehouse tables that are ready for data injection. Here are some of the configurations that I have used to make the process easier. Removed Hypens in the date column using regexp_replace function. Finally, we will move the cleansed data to S3 using the DistCp command, which is often used in data movement workflows in Hadoop ecosystem. It provides a distributed copy capability built on top of a MapReduce framework. The below code shows copying data from HDFS location to the S3 bucket. Note: S3DistCp is an extension to DistCp that is optimized to work with S3 and that adds several useful features in addition to moving data between HDFS and S3. From the above snippet note that I have multiple files in the S3 container. Although it is not a requirement it is usually a best practice to have multiple files in distributed systems. 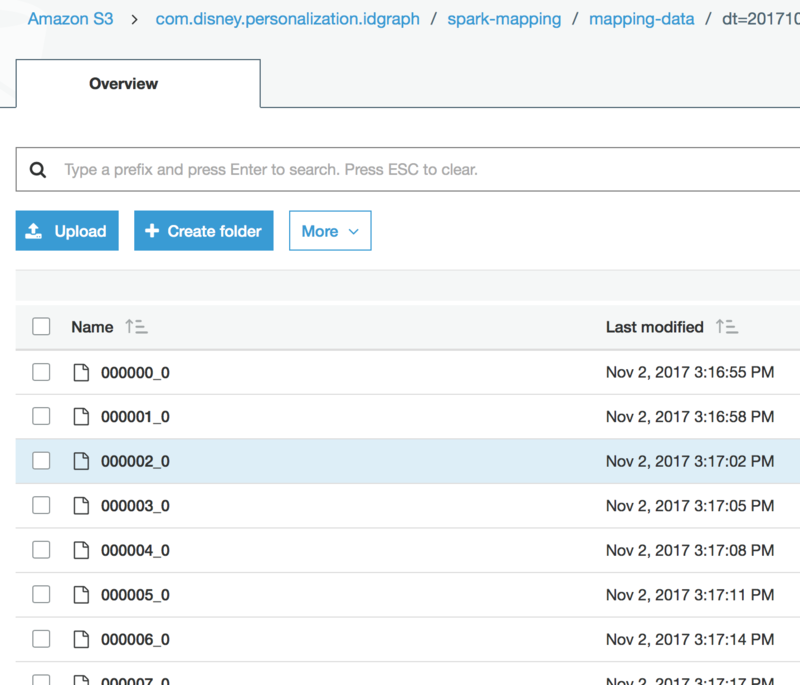 In my case, the Spark execution engine automatically splits the output into multiple files due to Spark’s distributed way of computation.